Prior to Thursday's game against the Toronto Raptors, reporters had one of our final chances to get head coach Brett Brown on the record about the trade deadline. And as part of a 17-minute session with reporters on Tuesday night, he gave the best read he could of the Markelle Fultz situation. It didn't sound great. Brown was as open as he could have been expected to be with two days until the trade deadline — which is to say, he wasn't — but the coach was honest about the intensity of the pre-deadline period and the commitment from the front office to getting a deal done. "I don't remember many days I didn't speak to Elton once or twice, and it for sure has heated up over the last week," said Brown on Tuesday evening. "The work that he has done, and his surrounding inner circle, [the entire front office] came to the West Coast with us, they bunkered into rooms. You just felt very prepared...as I saw their work that they were putting in, we felt confident that there were not many scenarios that are going to surprise us." Philadelphia has a lot potentially riding on the trade deadline, so that makes sense. Brown stopped short of pining for any specific players, but he revealed the sort of player at the top of his wishlist: an "adult" who can switch on defense and knock down threes, the sort of rotation piece that has eluded the team for years. After discussing those plans at length, the questioning began to hone in on the specifics of the rotation. Fultz is one of the only remaining wild cards in this group, with the second-year guard having last played a game on November 19. The team needs athleticism and ballhandling on the perimeter, among other things, and in theory, Fultz can help out there. DAVID MURPHY, Philly.com: When you do those projections, do you have Markelle Fultz penciled in there as far as that rotation? BRETT BROWN (clarifying): Do I have Markelle Fultz what? 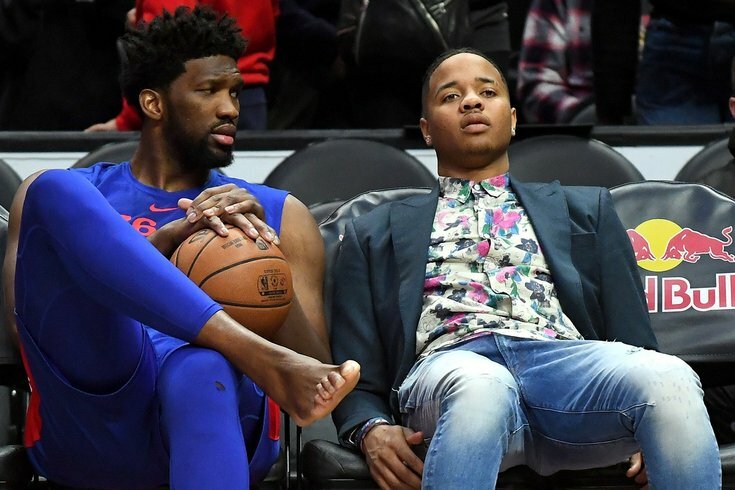 MURPHY: When you're projecting what you might need for the playoffs and the composition of your bench or rotation, are you planning on Markelle being in there? BROWN: I mean right now we haven't seen Markelle for how long? And we all understand his progression back to the court has been sort of managed in a slow-type fashion. So I think with Markelle, I mean I hear your question, but right now I'm hoping to be pleasantly surprised with how he arrives back with us, more than assume he's going to be there. I think it's not smart for me to think like that. A lot can change between now and the end of the season, but this puts the Sixers in a rather difficult situation heading into Thursday's deadline. They have a former No. 1 overall pick some would have you believe they're not interested in trading, who has been gone long enough (and is inexperienced enough) that the head coach doesn't feel comfortable counting on him as part of their stretch-run plans yet. In many respects, Philadelphia's deadline will hinge on Fultz's leaguewide value, their willingness to deal him, their confidence in him returning to form, and how much they value his upside vs. opening up more cap flexibility in the summer. Brown's comments, good or bad, were never going to change that. But if nothing else, it does paint a picture of the difficult position the team finds itself in.